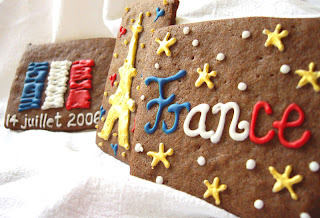 MIGNONNE: Mignonne Celebrates Bastille Day All Week Long! Here at Mignonne, we are always inspired by the French. With Bastille Day occurring on July 14th, this week is no exception. We're having a 20% off sale throughout the store for an ENTIRE WEEK! Yes, that means 20% reductions on all new AND vintage items, (excluding local art work), Tuesday, July 15th through Tuesday, July 22nd. We have a new selection of ROBEEZ children's footwear, fresh new soaps, new vintage pieces and other new items throughout the store. Take advantage of our 20% off sale to treat yourself or a friend!